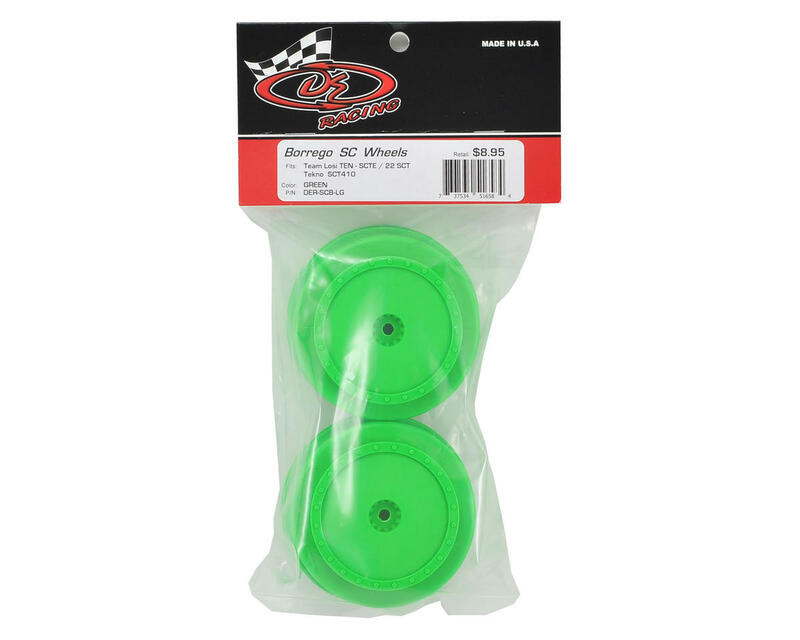 This is an optional pack of two Green DE Racing "Borrego" SC Wheels, and are intended for use with the Losi TEN-SCT trucks, as well as the TLR 22SCT. 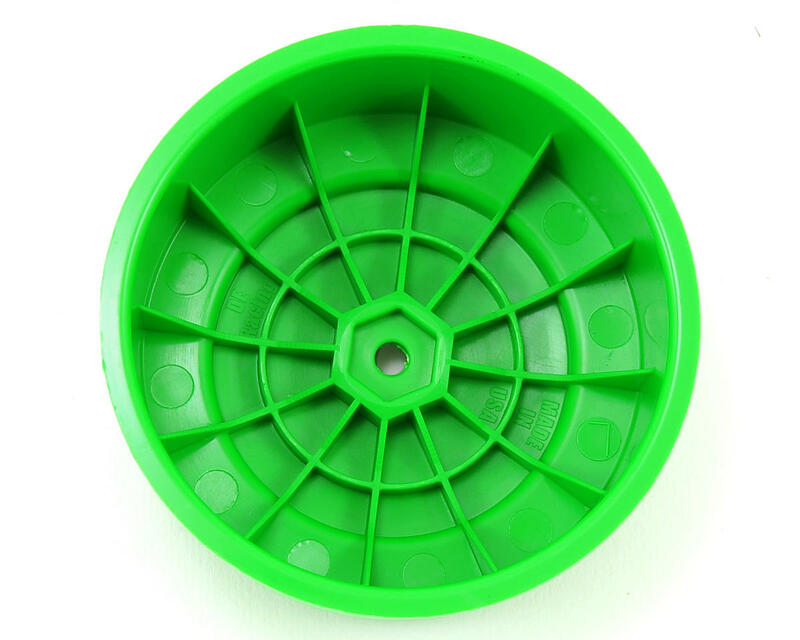 DE Racing has developed the first true dish wheel for the Short Course market. 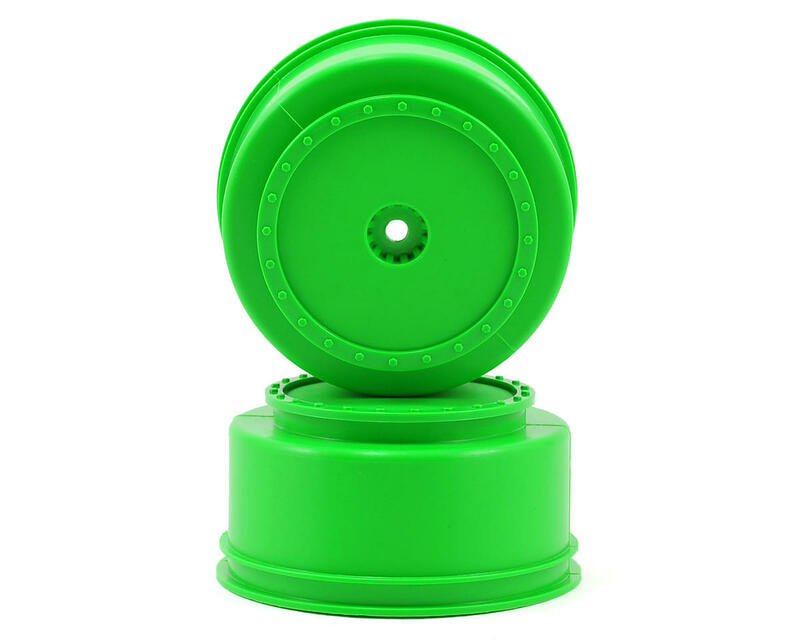 Modeled after the 1/10 buggy line, DE's "Borrego" wheels feature the realistic scale appearance of a beadlock wheel with mud cover. by far the best rims ive used, no matter what colour you choose you cant go wrong with DE !!!!!! !